When we say "variety", we mean it. No matter your taste is, our slipcover selection will allow you to find the perfect addition to your home within minutes. Need to give your furniture a brand new look? We have no shortage of great patterns for any setting. 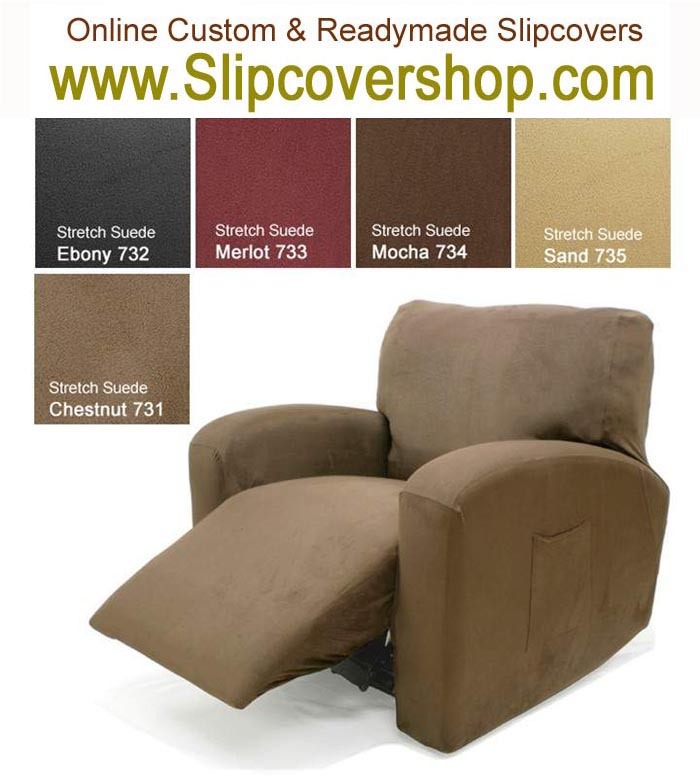 There is no single type of shopper, which is why SlipcoverShop.com boasts an unprecedented level of variety of slipcover types for all customers! 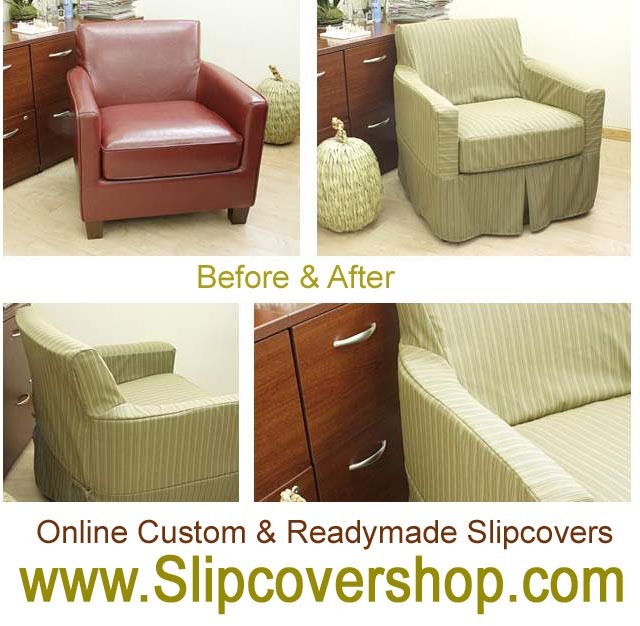 Custom Slipcovers in 1 Week! To get a price quote online for Furniture Slipcover: all you need is to enter dimension "A". Quoted price includes our fabric and labor. SlipcoverShop.com offers extensive fabric selection and dedicated to creating custom furniture slipcovers that are perfectly tailored for your specific furniture and cushions style. 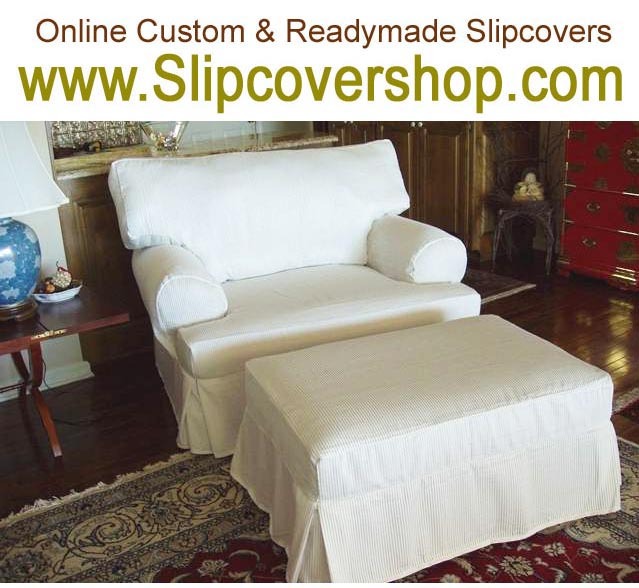 We make anything from pillow sham to a large sectional slipcover with sofa bed function. All Made in USA. Cushion Covers - Any Shape! We also make a custom cushion covers for any piece of furniture in your home. Here you may select from Zippered Cushion Covers for your sofa, Elasticized Cover for the chair seat and coordinating Zippered Pillow Shams and refreshing Futon Covers for your futon. Fabric selection includes durable twills and denims, luscious suedes, solids, prints and leather look material. As always quoted price includes our labor and our fabric. No-Tie design offers Great fit, even if your sofa is in between sizes. Unlike other slipcover brands that use predetermined position front ties, All our ready made slipcovers are made with patented Easy Fit Clip-On fasteners for better fit! design news & enter contests. Thanks! The slipcover fits very well. I certainly will recommend your business to friends. If you have a description of the way you work magic, I would love to you read it. Have you created a computer program that takes the measurements of and makes pattern OR actually cuts the fabrics? Can you ask the production departments to send me their secret methods? Here are some photos of the new slipcover. Thanks.